Power supply failures in mission-critical AV products can cause significant disruption to signal distribution and facility operations, creating serious challenges for system integrators, end users, and manufacturers alike. Extron has answered this challenge with the Everlast™ Series of high-performance, no compromise, internal and external power supplies, setting a new standard for reliability and efficiency in the professional AV industry. Designed from the ground up by our Extron engineering team, Everlast Power Supplies use state-of-the-art technology and the highest-quality components to ensure extreme reliability in commercial AV products including Digital Matrix Switchers, Videowall Processors, Distribution Amplifiers, Scalers, Control Systems, Power Amplifiers, and more. 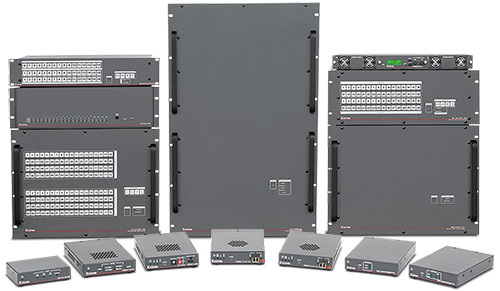 Like all of Extron's products, our design philosophy and manufacturing process for the Everlast Power Supplies are driven by safety, performance, reliability, and efficiency, not merely by cost. For example, the older mechanical methods for thermal management typically used in the industry require a combination of heat sinks, insulators, washers, and screws. This approach adds complexity and introduces many potential points of failure to the power supply. A more modern approach, used by Extron, uses the PCB copper area as a heat sink for surface mounted transistors and diodes. High operating temperatures adversely impact component performance and longevity. Traditional designs often require the mounting of a transistor to a dedicated heatsink. Due to repeated thermal expansion and contraction, a compression washer and locking nut must be used to ensure proper force is applied to the thermal insulator. This older, complex approach can be susceptible to shock and vibration, causing broken leads. Extron's approach to heat dissipation leverages our expertise in Printed Circuit Board - PCB technology to surface mount and heat sink our power packages. This method is dependable and consistently repeatable, as it removes all hand labor and human error from the process. The result is a highly reliable procedure that is far less susceptible to shock and vibration. The "hard switching" converters common in most professional AV power supplies cause significant transistor loss. Smaller transistors must be used, which adversely impacts performance and efficiency. The resonant soft switching design in our Everlast Power Supplies enables Extron to use larger transistors, which operate more efficiently by reducing conduction loss and minimizing waste heat. For Everlast Power Supplies, our engineers select high quality metal frame fans with ball bearings that have long MTBF specifications and run them at low RPM. This increases fan life, with the added benefit of reducing noise. The end result is a quieter, more durable solution than the high-speed, noisy plastic fans used in competitors' products. Larger magnetics enable the power supply to run cooler and more reliably. By using larger transformers, Everlast Power Supplies generate less waste heat than competitors' power supplies, creating a more efficient and dependable solution. Everlast Power Supplies employ synchronous rectifier FETs (Field Effect Transistors) instead of inexpensive diodes. This reduces waste heat, which contributes considerably to system longevity. Typical power supplies use a resistor in the start-up circuitry to supply start-up power to the 12V control system from the AC line voltage. This is an inefficient approach, as the resistor continues to dissipate power unnecessarily for the life of the product. Everlast Power Supplies replace the resistors in the start-up circuitry with a more expensive transistor, creating a highly efficient, “active” solution. The converters in traditional power supplies dissipate the unavoidable, unwanted stored energy through a "dissipative clamp circuit" comprised of a diode and capacitor. Extron Everlast Power Supplies employ a resonant clamp design, which recycles the clamp energy in a nearly lossless way. This modern approach enables the transformers to maximize the stored energy rather than minimize it. To further ensure long-term reliability, each Extron Everlast Power Supply goes through an extensive 8-hour burn-in process to immediately uncover and eliminate any manufacturing issues or component defects. Our pride in the quality and durability of our power supplies gives us the confidence to offer our customers an unprecedented 7-year warranty on all Everlast Power Supplies. Typical AV power supplies have an average MTBF, Mean Time Between Failure, rating of around 30,000 hours, calculated by using the stated specifications of the individual components. To ensure that our Everlast power supplies meet Extron standards of performance and quality, we subjected each model of our PS Desktop Series to actual, not calculated, accelerated operational life testing, using a heat chamber at an ambient temperature of 85° C. The power supplies were operated under load for over 2 years. Under these grueling conditions, each hour in the heat chamber is like 64 hours in the real world. Based on this actual accelerated operational life testing, we achieved MTBF benchmarks of 280,000 hours up to an incredible 1,000,000 hours, or the equivalent of over 114 years, depending on the model. We know of no other company that has gone to such lengths to guarantee power supply reliability. Simply put, our Everlast Power Supplies deliver unprecedented, demonstrated reliability and longevity in the most demanding professional AV environments. The energy efficient designs of our Everlast Power Supplies help to meet green building requirements by lowering power consumption and reducing overall operating costs. Our Everlast PS Series of Desktop Power Supplies are Level VI rated and consume just 0.075 watts or less at idle when no load is present on the output. Our superior heat dissipation and thermal management engineering enables Everlast power supplies to run cooler than less efficient power supplies at the same load. The remarkable longevity of our Everlast Power Supplies greatly reduces the need for field replacements, resulting in far fewer out-of-service power supplies winding up in landfills. 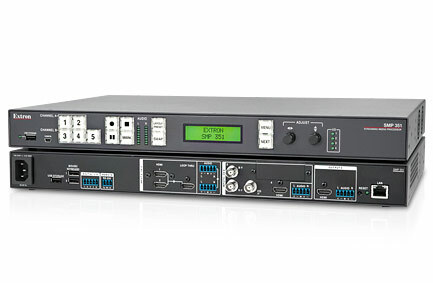 Everlast Power Supplies can be found inside a wide range of popular Extron products, including Matrix Switchers, Videowall Processors, Scalers, System Controllers, Enterprise Streaming Encoders, Audio Amplifiers, and more. An efficiency rating of up to 90% results in a significant reduction in waste heat generation that adds considerably to the power supply's lifespan. Look for the Everlast logo on www.extron.com product pages to determine which Extron products are powered by Everlast power supplies. The energy-efficient Everlast PS Series of Desktop Power Supplies are available in 6 watt, 18 watt, 24 watt, and 50 watt configurations, with 100 VAC to 240 VAC worldwide compatibility. To help minimize system operation costs, every Extron PS Series Desktop Power Supply has an efficiency rating of around 90%, meaning that less than 10% of the input power is wasted as heat. The Everlast PS Desktop Series is not only reliable and efficient, but versatile as well. Featuring Extron's patented ZipClip® mounting system, the Everlast PS Series can be mounted securely on a variety of surfaces, including rack rails, tables, lecterns, projector poles, and table legs. These units feature compact, 1U tall enclosures with threaded inserts, to mount directly on Extron rack shelves. We have such confidence in our power supply reliability that we have now extended the warranty period to seven years for all of our Everlast internal and external power supplies. 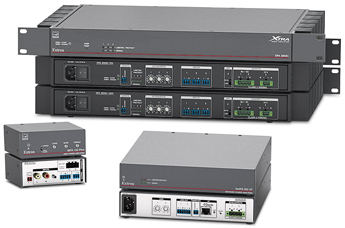 Product performance and reliability have always been important guiding principles for Extron. 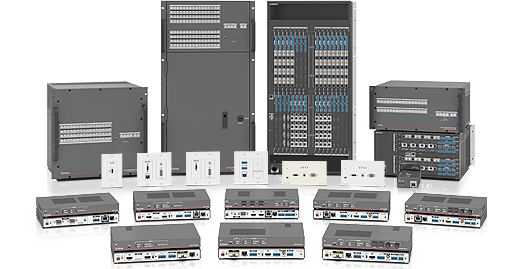 Quality and reliability are two of the most important design criteria for every Extron product. The confidence we have in Everlast power supplies has enabled us to enhance our support program with this exceptional warranty. Extron provides 12 volt power supplies with many products, but when power supplies are shared, the unused power supplies are tossed aside and could end up in a landfill. Extron customers have asked for a way to trade in these brand new power supplies and our Power Supply Trade-up Program is an excellent way to avoid unnecessary waste. Extron has an exclusive Power Supply Trade-up Program for Extron Customers. For any combination of fifteen qualifying 12 volt PS Series power supplies returned to us on an authorized RMA, we will ship to the customer a new PS 124 Multiple Output 12 Volt DC Power Supply. The PS 124 features eight 12 volt DC outputs, providing a total of 4 amps across all outputs with no per-port current limitations. This power supply is designed to take the place of several individual PS Series desktop power supplies, which frees up space in the equipment rack. Additionally, the PS 124 is UL 2043 rated when used with the optional Flexible Conduit Adapter Kit for installation into a ceiling space. Five PS Series desktop power supplies, part numbers 28-331-07LF, 28-331-57LF, 28-327-07LF, 28-327-27LF, 28-327-57LF, are eligible for this program. These part numbers can be found at the top of the product label. AV Streaming Over IP for Professional Systems. Permit long distance distribution of RGB video, composite video, stereo audio, and RS-232 over twisted pair cable. Amplifiers with Extron patented CDRS™ - Class D Ripple Steering technology which supports high signal fidelity and clear audio. 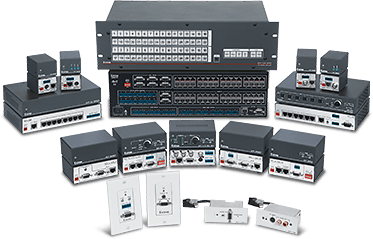 For a first-hand look at Everlast Power Supplies features at one of our worldwide facilities, or, for a personalized in-office demonstration, contact your Extron representative.